The myth of Kentucky as a “dark and bloody ground” has long been a favorite of Kentucky’s lore enthusiasts. The myth persists today despite evidence to the contrary and because it has been repeatedly mentioned in children’s books, textbooks, and other scholarly works. For those unfamiliar with the “dark and bloody ground” myth, the story basically supposes that no native tribes prior to the 18th century held permanent settlements in Kentucky. Instead - as the story goes - Kentucky was a hotly contested and disputed territory that saw constant, violent struggle between warring tribes. Kentucky was also used as a hunting ground, but no one actually lived here. Calm and quiet at the start line. Photo by Clary Estes. That is all untrue. Many native peoples called this territory their permanent home for thousands of years. The idea that Kentucky was a dark and bloody ground of constant strife and warfare is unsubstantiated. However, on Saturday, June 2, 2018 there could be no better description of what transpired along the Bluegrass State’s Sheltowee Trace National Recreation Trail. The first ever War Hammer 100 Mile Endurance Run was a battle. It was a battle of will, strength, emotions, and endurance that caused each runner to explore the deepest caverns of his or her mentality to find that one thing that would keep them going. Or stop them dead in their tracks. I want to take this opportunity to explore a few aspects of the War Hammer 100 from the perspective of a Race Director that stuck out to me. Rain. Mud. Dogs. Heat. What else can I say to describe the conditions of our battlefield that day? The last half of the War Hammer 100 course is wet year round. Regular ATV and horse traffic coupled with the low lying creekside trails make the trails mucky and wet 365 days a year regardless of rainfall. When you add a full week of hard rain to that you get an absolutely unbearable trail system full of huge mud puddles, shoe-sucking mud, and more bugs than you can identify. I would also be remiss if I did not mention the dogs. This race runs through the good, the bad, the ugly, and the beautiful of eastern Kentucky. The brutal truth is that the race runs through residential areas as well as remote forests. These are areas where long time residents don’t think twice about letting their pets roam free. These pets, however, can be unsettling when a lone runner trots by. We had several dog encounters throughout the day, some less pleasant than others. It’s a truly unique but unfortunate obstacle that the War Hammer 100 presents. Lastly, we need to talk about the elephant in the room: the heat. I was shocked at how many people I heard leading up to the race saying things like, “It should be pretty mild this time of year.” Or, “I don’t think it will get TOO hot out there.” Make no mistake: early summer in Kentucky is HOT! IT’S SO HOT! The regularly scheduled summer temperatures (which topped out in the high 80s around finish time Sunday afternoon) teamed up with the wet ground to produce a very muggy, humid weekend. The heat and humidity proved to be the undoing of several runners who were not prepared for such conditions. I honestly thought the women’s race would come down to two runners: Michelle Mclellan of Elizabethton, Tennessee and Adrienne Fratczak of Evans, West Virginia. Adrienne is a young runner with several top finishes in recent years. Michelle is a highly experienced runner with a number of 100 milers on her resume along with many (MANY) other top finishes. Other dark horses on my list were 2017 Big Turtle 50 Miler winner Ariela Flory and local favorite Lauren Clark who has really excelled at races 50 miles and beyond in the past year and a half. Adrienne took the lead early running alongside her husband Matt, but a wrong turn early added several long, hot miles to their journey. Eventually, that mishap was too much to overcome as they were forced to cut the race short at the Hale Ridge aid station. Michelle - hot on Adrienne’s heels all morning - took over from there and let her strength and experience tell the rest of the story. She would never relinquish the women’s lead; pushing through mud, bugs, heat, water, and every natural obstacle imaginable to win the hammer in 26 hours 57 minutes and fourth place overall. It was a masterful display of early patience and late race grit and relentlessness. Of the 41 runners who originally signed up for the War Hammer 100 Mile Endurance Run only three women remained past the White Oak Branch aid station at mile 85. Michelle; Susan Donnelly of Oak Ridge, Tennessee; and Lauren Clark of Lexington, Kentucky. Susan was unassuming most of the day, lingering in the middle of the pack. Lauren - a good runner not used to chasing cut offs - struggled most of the day through the gross, humid conditions and found herself running alongside Susan in the last few miles of the race. After pushing each other through the last few miles, the women separated and Susan took home the second place title just four minutes ahead of Lauren. Three elite women were able to complete the brutal 2018 War Hammer 100. The men’s competitive field was a little more wide open. Several very fast and talented runners toed the line for their first 100 miler. These gentlemen were toss-ups. Would they be able to use their speed and strength to overtake the field, or would the inexperience be a factor in keeping them from the finish line? I identified a few personal favorites early on. Will Rivera - probably the most experienced runner on the men’s side - felt like a big favorite because his experience meant he wasn’t going to be caught off guard by too much. Dustin Mitchell and Matt Hoyes were the other standouts I saw. The two runners were both attempting their first 100 miler and have turned in some incredibly impressive times at distances up to 50 miles. I knew both would be tough to beat, but it’s always a huge unknown when a runner attempts his or her first 100 miler. Will put on a master class in running a 100-mile race staying poised, focused, and relaxed for over 24 hours. He used the aid stations efficiently using them simply to restock and rehydrate before getting right back onto the trail. No wasted time. Matt and Dustin both showed strength in making it late into the race. Matt happened to have a few more miles left in him as the mud and wet conditions wrought havoc on Dustin’s feet causing him to drop at mile 85 - an incredibly impressive first 100-mile outing. Matt pushed all day, bouncing around the top 5 before ultimately making the move and going home with the third place battle ax. Second place Adam Rood put forth a performance all new ultrarunners should model. He lingered in the middle of the pack for the first 50 miles. Then as the aid stations began calling in the bib numbers he was in 6th at the halfway point. Then fifth. Then fourth. Then third. Then second. Silently picking off runners and coming within 20 minutes of the Will Rivera at the very end. I have never seen someone close out a 100 miler with such strength and patience. Part of what draws us to the 100 mile distance is the simple question of, “Can I do this?” It is a daunting task that seems simply too much for the human mind and body to endure. 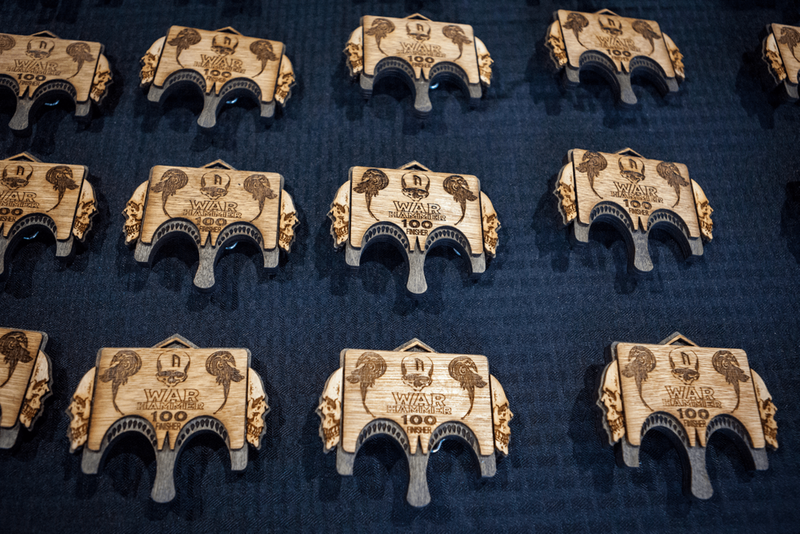 Runners sign up to run a 100 mile endurance run like the War Hammer because they want to challenge themselves; they want to push themselves past their limits; they want to know for sure they can or cannot do it. Ultramarathon running leaves no doubt. At the end of the day when a runner goes home or back to the hotel room there is no question about whether he or she was up to the task or not. 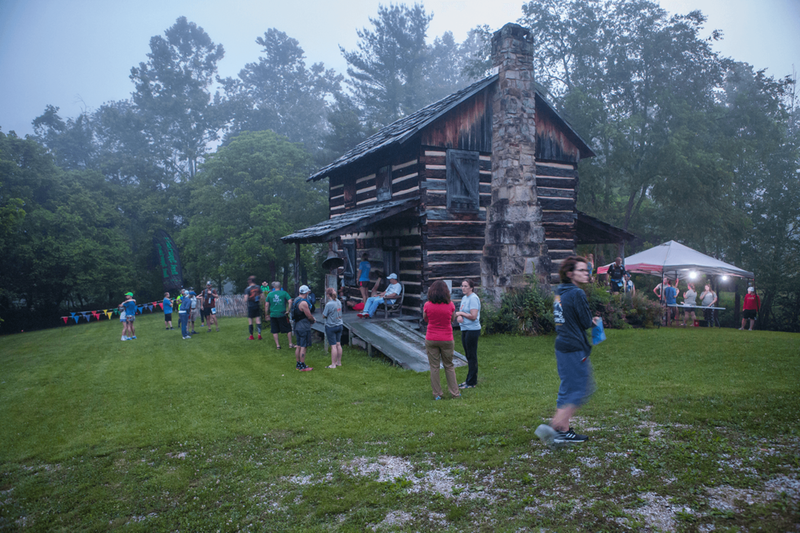 With 2018 being the first year of the War Hammer 100 Mile Endurance Run, most runners showed up to Red River Gorge on Saturday, June 2 not really knowing what awaited them on the journey south. Now they do. Warriors enjoying some shade a soft chair at the finish line. Of the 41 people who signed up for the race, 37 runners showed up to do battle on race morning. They can call themselves warriors now because they entered the arena, they fought hard, faced the obstacles, and survived. They now know what they did not know on Saturday morning. They know what it takes to face the War Hammer 100. Of those 37 runners, 13 ascended the muddy hillsides to the finish line below Wildcat Mountain. They also know something that the general public (including us Race Directors) don’t yet know. They know what it takes to finish the War Hammer 100 Mile Endurance. It takes patience. It takes strength. It takes preparation. It takes a little bit of luck. And it takes something else. Something inside that can’t be described in words. Something in the spirit of each runner that propels her forward when the mind and body are screaming to stop. Only they know what that is.